No problem @timeorspace, i concluded that the best solution for me, at the moment, was simply MIDI. It's a nice occasion to browse the internet for options and there's a lot to discover. The problem that @Gavin points out is quite essential and thanks to him I'll be careful. Whatever the power and features of the board are theoretically, practical use is the main point. 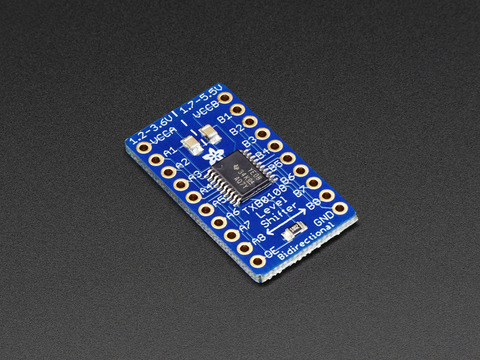 For example, the ESP32 boards look quite impressive and small... But, even with the Adafruit ESP32 feather, many things are still experimental. Oh, yes PICs.. I never used them.. they blossomed when i was busy parenting..
You are making a pitch detector for the guitar2midi ? It is funny how some good old things are still here such as C, UART and MIDI. A few days ago I was browsing the datasheet of a bluetooth chip and part of the controller was a good old 8051. Even the ARM architecture has roots into the 80s (Acorn/BBC computers). Now that i remember, back in the early 90s one of my electronics teachers demonstrated that it is impossible to make blue LEDs. @SmashedTransistors, the problem may not be as essential as you describe, I know Arduino boards and clones all work fine with serial options, so does the teensey. And there are also many other boards (NON STM) that designate their IDE setup to Arduino IDE, in most cases I would expect these are safe too, but you will need to read the details for the board to confirm this. One thing is for sure, communicating with an Arduino Due board to the Axo via UART to midi which works very well because this is my setup. The Arduino due has 4 x uarts, SPI and I2C, but I do not use the I2C. SPI is used for an SD card, and I have plans to use more Uarts. 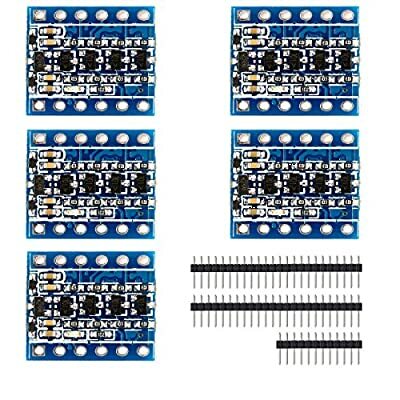 If you are adventurous, try something different like an STM32f103 or Nucleo board, if you want something that I know works, stick with Arduino or Teensey or similar, with Arduino or Teensey, there are plenty of shield and modules that can be added with a lot of work already done for them to work. Just check through the details and ensure you know what you need. Hey guys, I have a couple 5v arduino’s around. Can anyone speak to using this conversion in terms of safety? It seems to be a logical hack to get my arduinos running on 3.3v from power barrel as well as usb. Yeah I took a look at those and was trying to save from having another circuit on my bread board. I have the components at home for the hack so it will save from ordering components as well. I'm far too clumsy to make such a hack, hope it will work. Apparently the easiest way to go from 5v to 3.3v as seen on many Arduino examples, is to split the voltage with 2 resisters ensuring one of them gives no more than 3.3v. For me the easiest solution is to use 3.3v dev boards.. The mod link I posted works exactly as intended. Very simple to do. Just replaced the regulator with a 3.3v and replaced the fuse with a diode. Now I’m able to power the arduino from my axo core and interface without a level converter. @johannes may i have some additional information on the I2C bus? sorry i'm a total noob in this kind of things but...fact is i have an orthogonal devices er-301 in my modular rig which can be set as an I2C slave. is the I2C bus something we can implement via software or does it need some additional hardware\mods\hacks? can you provide some use-case examples please? thanks in advance for any and all infos you might provide!! !